Some people are delighted and excited about the holiday season, and some feel pressure and a bit of dread with the work to be done to prepare for the holidays. Wherever you fall on the scale, most of us are susceptible to holiday stress. Here are some practical strategies that can help keep you from being overwhelmed this season. Do you have good or bad posture? As you are reading this, how is your posture right now? Are you sitting upright with both feet planted on the floor? Are you slouching your back? Is your neck tense and the shoulder raised, or even slightly rounded forward? If you’re sitting, are your legs crossed? 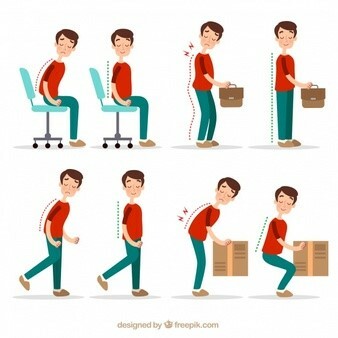 If you’re standing at your desk, is all your weight on one leg or both?